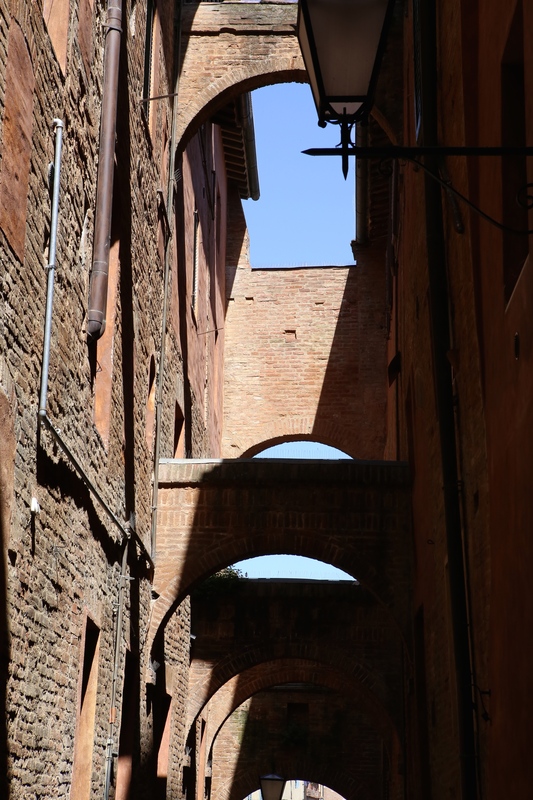 Siena is a good size city in the region of Tuscany, provide of Siena. Ithaca a population of 52,700 people. 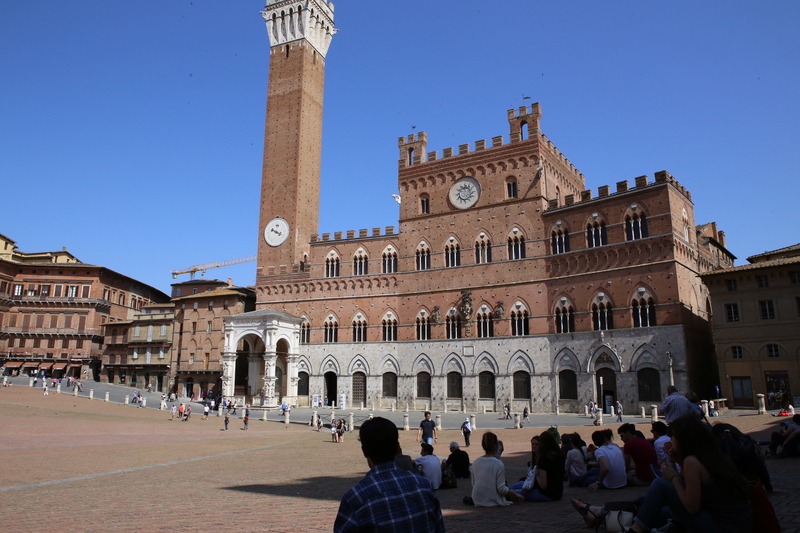 Siena has a very large piazza in the center of town that has a horse race twice a year called the Palio. 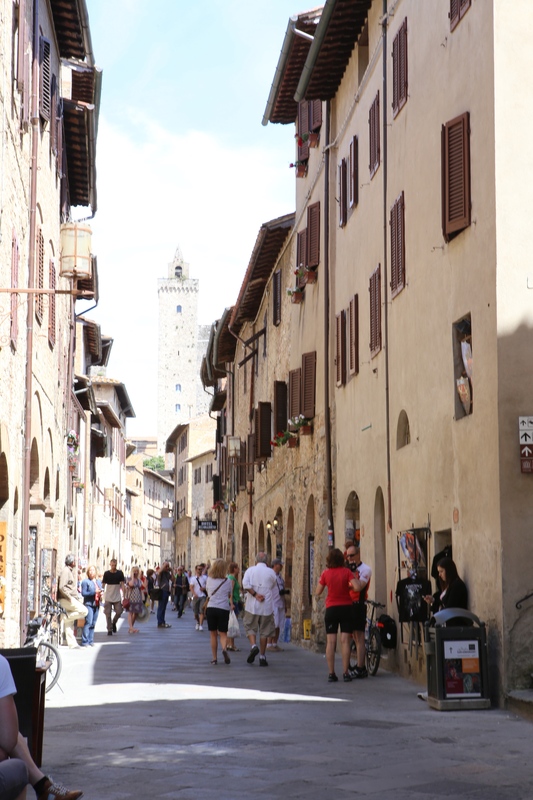 Siena is near to many Tuscan and Umbrian mountain towns, Sah Gimignano and Florence. 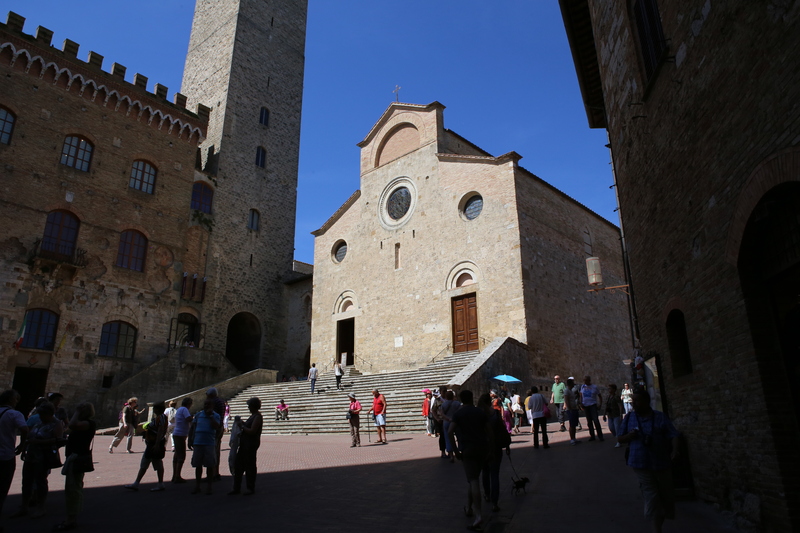 The main Chianti wine area is nearby as well. 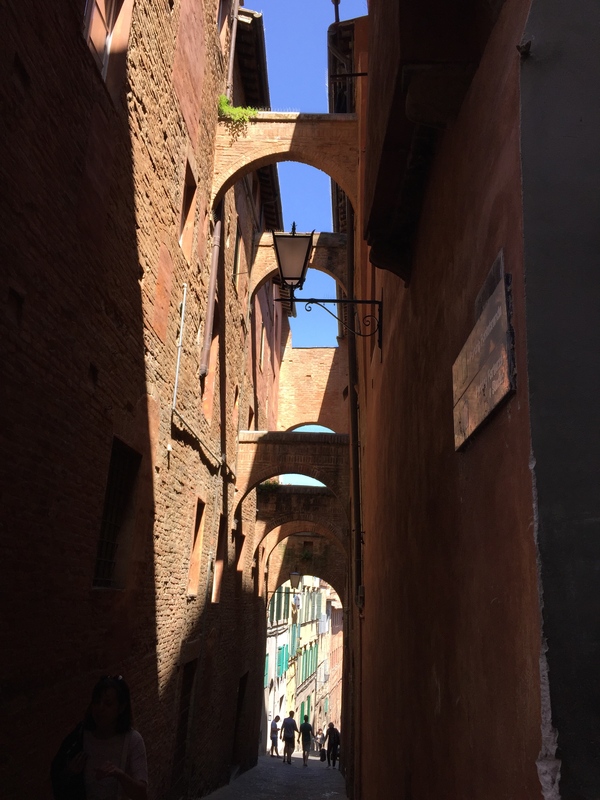 Siena is worth a stop for a day or two. Get out and walk the city and see its sites. Soccer fans will find a large soccer stadium here. 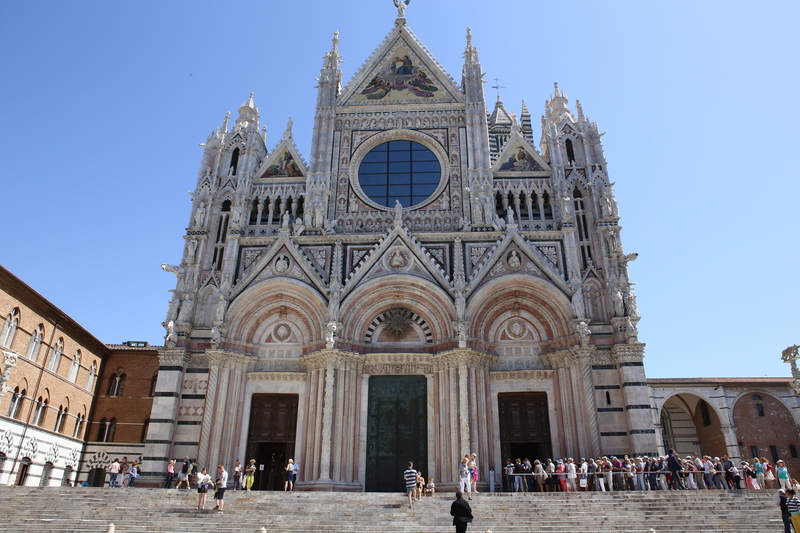 Siena is near the autostrada and is easily reachable by car from Florence or Rome. 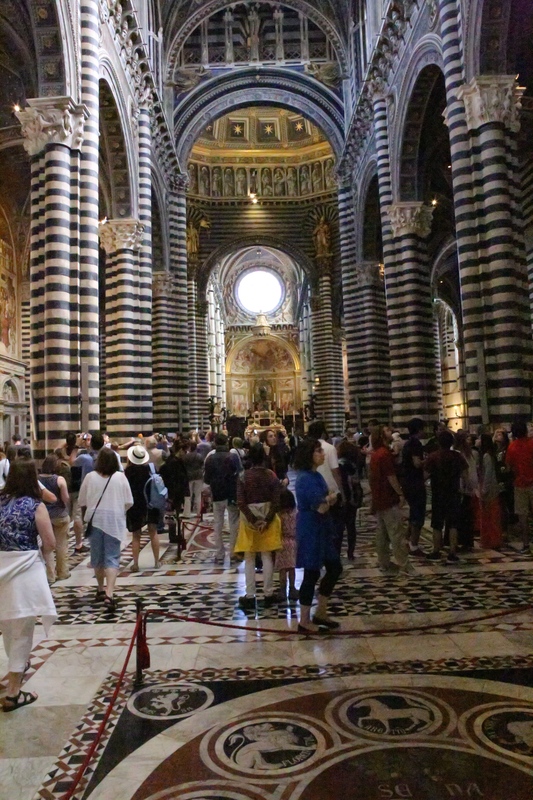 Siena is a larger town than the ones we have been posting on. 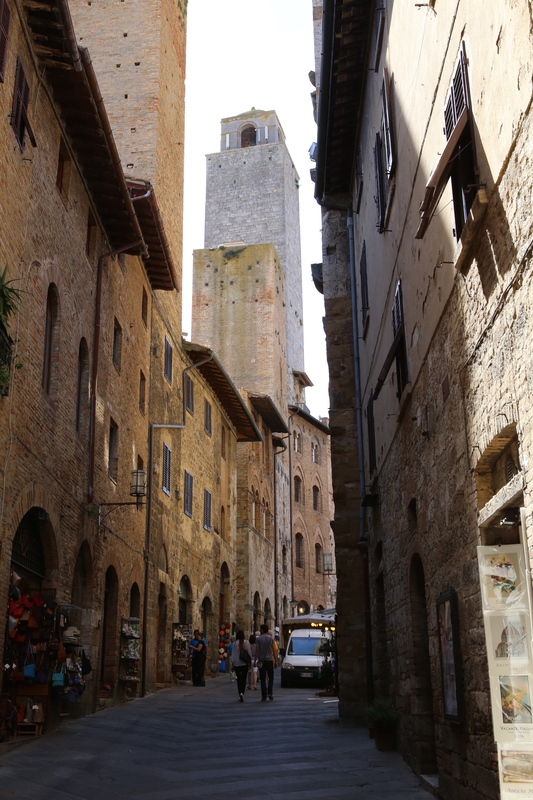 It is famous for its Palio race. 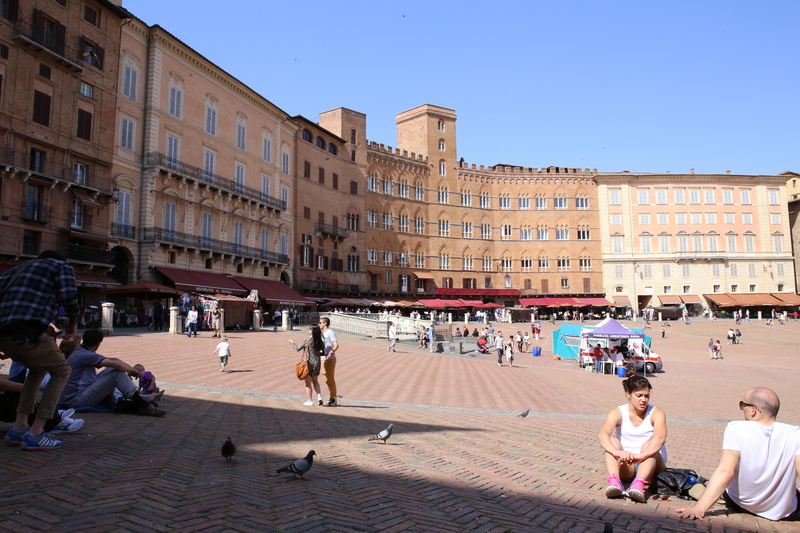 The center piazza (Palio) is divided into triangles for each competing contrade (area of the city). Ten of the 17 contrade race in a horse race called il Palio. They bring in tons of dirt around the top of the piazza for the race twice a year. The race lasts only 90 seconds but the celebrations go on. We were not there for the Palio (July 2 and August 16). 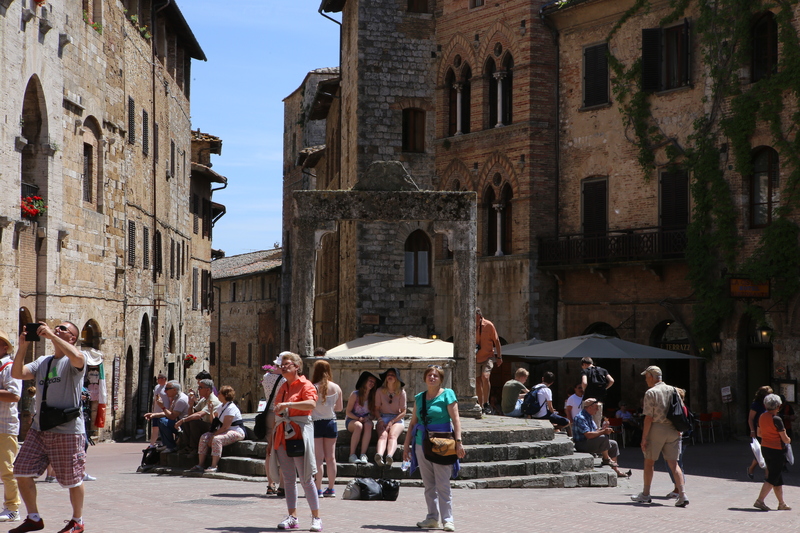 The piazza normally is a place for residents and tourists to sit and sun bathe or eat a gelato or just talk with friends. 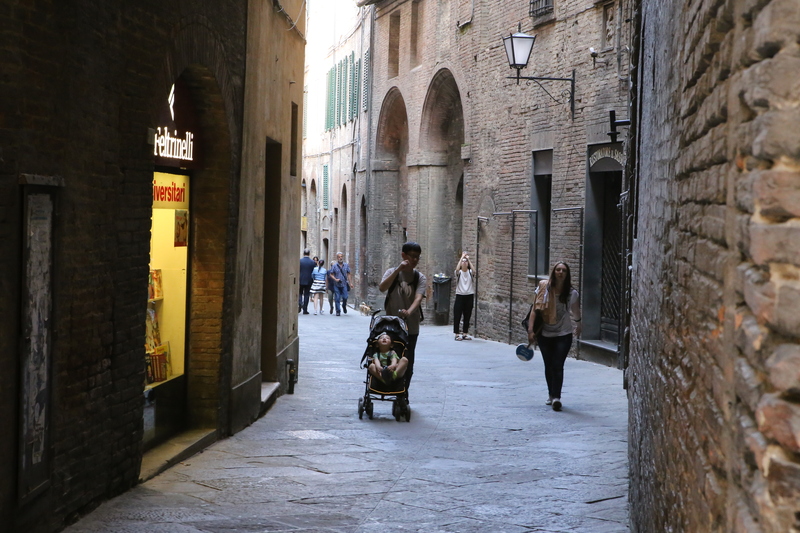 Even though Siena is large it has the normal small streets. There are some stairs but not that many. 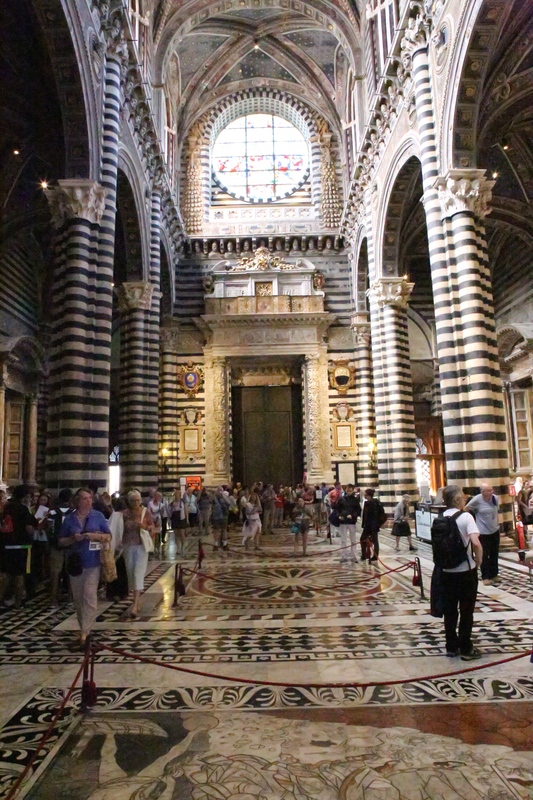 The Duomo in Siena is nicer inside than the one in Florence. Outside they look similar (white & black marble). 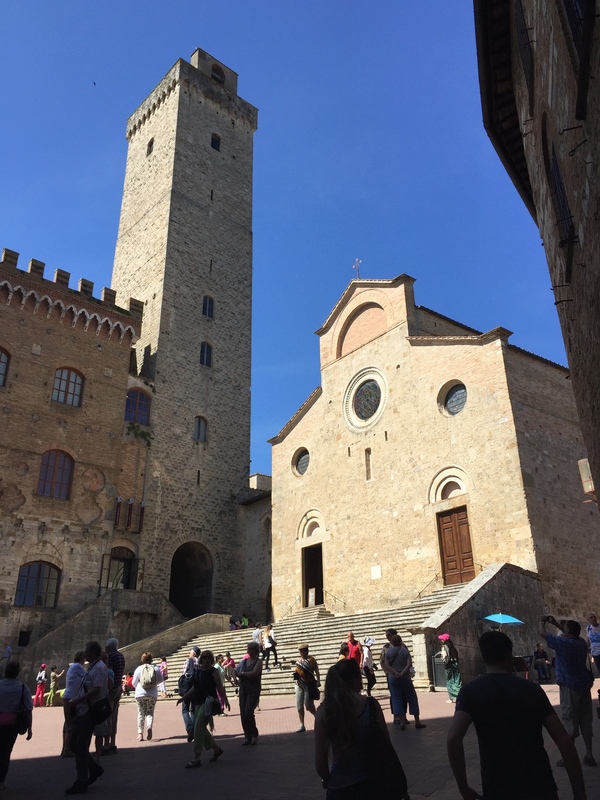 They designed it to be much larger than the one in Florence. 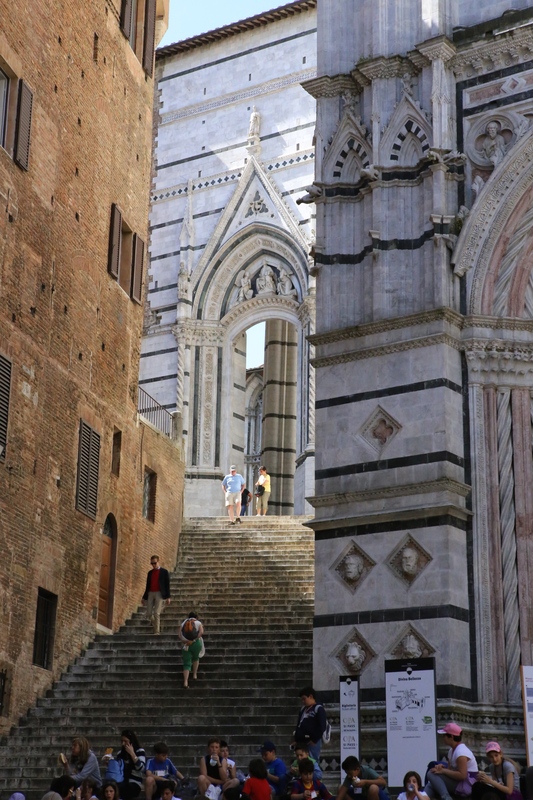 It was to include the current duomo, the building next door and the piazza in-between. Funds ran out and it remained its current size. Tickets must be bought next to duomo to enter it. 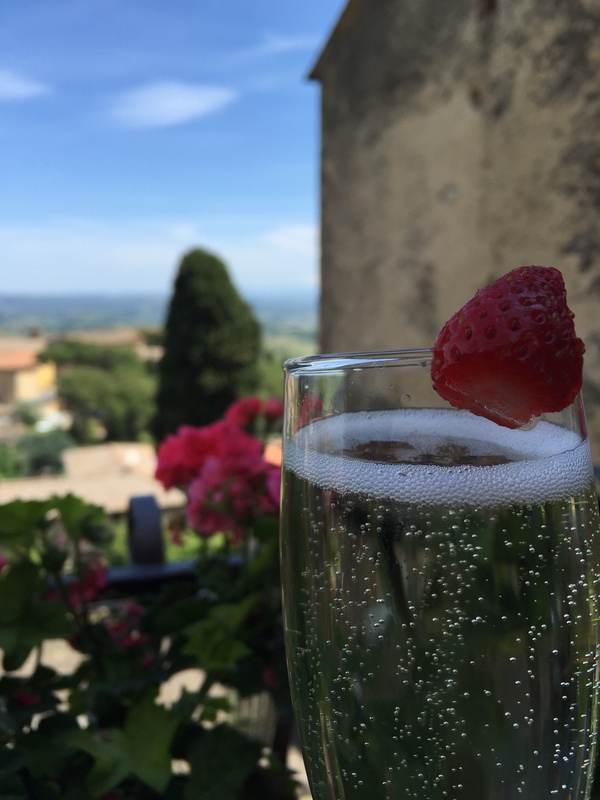 Siena has great neighborhood restaurants, bars and sights. Stroll it slowly and enjoy what you see and experience. 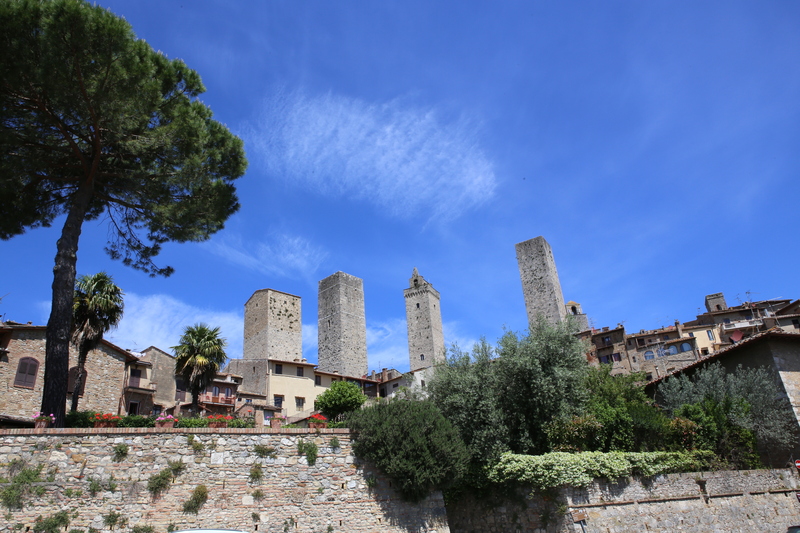 Monday we will be going to my favorite small city in the world, San Gimignano. 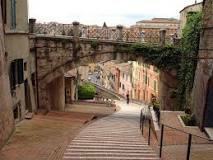 Perugia is a special city. It is home to Perugina chocolates. They are best known for their Bacci (Kiss) chocolate. The chocolate factory (with tours and tastings) is just outside the city. The city itself is medieval. What a charming place to stroll. Imagine walking on the same small walkways as people did during the medieval period. 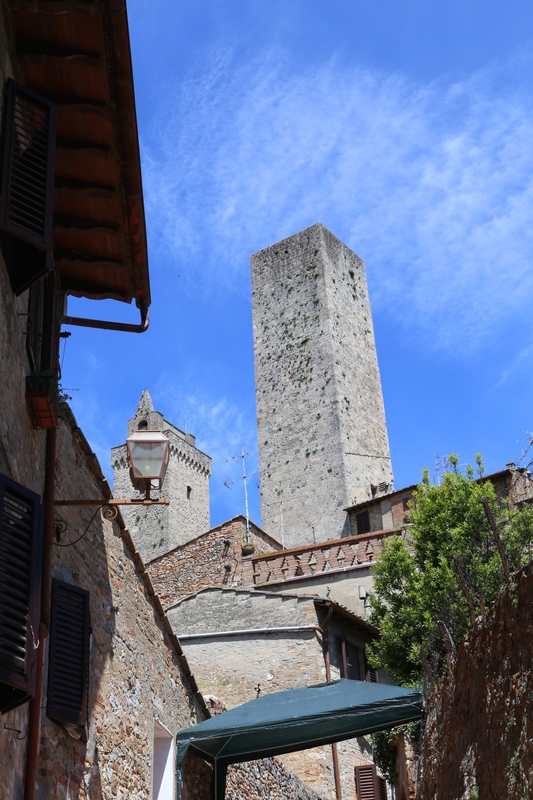 There are old squares, churches, Castles and fortresses. This is a great town to spend a night or two and go back in time. It is a very romantic place to spend some time. 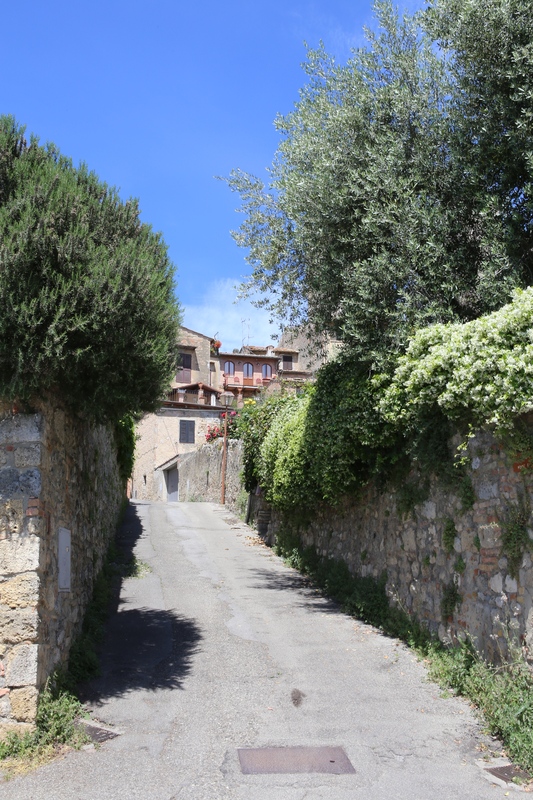 Imagine peaceful walks on old narrow streets, eating in a small trattoria, having some Perugina chocolates, sipping some local wine. Eat a Perugina back (kiss) then kiss someone special. Are you ready to go? 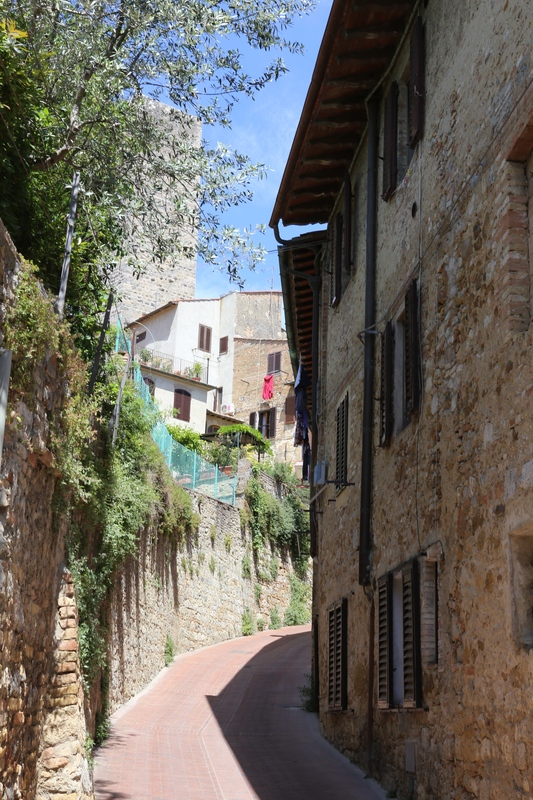 Perugia is near Assisi and Cortonia (where Under the Tuscan Sun took place and the real Frances Mayes home is). It is also not a long drive from Siena or Florence. 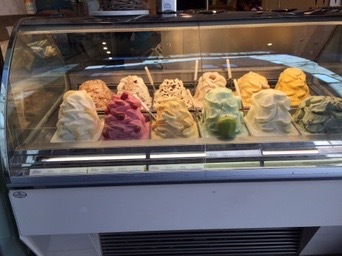 Kace has a BLOG and wonderful pictures of Perugia, Italy and its wonderful chocolate. This is a place not to be missed. 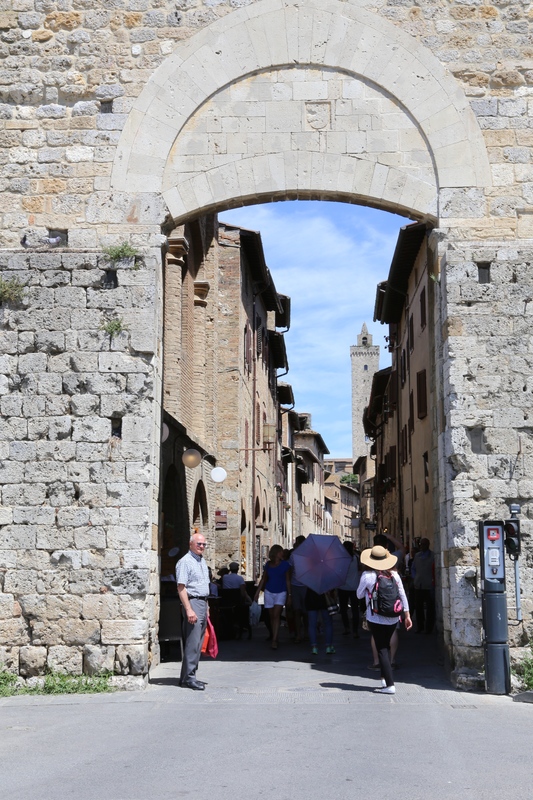 It is in Umbria and is an easy drive and very scenic from Orvieto, Florence, Siena or Rome. If you hate chocolate this is not a city for you but for everyone else go and enjoy.